I’m sure you’re all interested to know this, but my team is currently 2-0 in the playoffs. With a few more games before our (potential) beer league finals. I’ve held my end of the bargain, with a 0.50 GAA, only allowing one goal in my last two games. 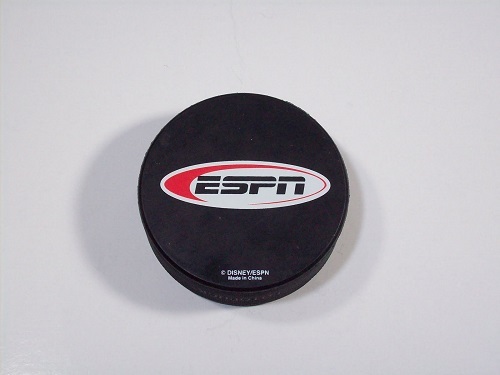 Plus, the lone goal was a high-stick beautiful deflection that I had no chance to save. 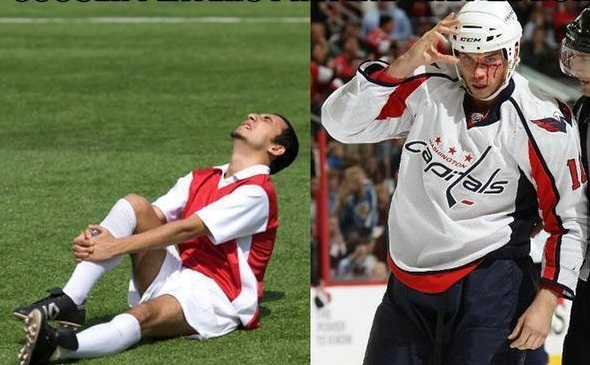 Anyways, on to the equally as important story, the life and times of Jack Adams. You can find the history of his playing days here, while today’s article will focus of his coaching prowess and accolades. Stay tuned next week for the history of his managerial career, which ends the story of the only person to win the Stanley cup as a full-time player, coach, and manager in separate seasons. Who was Jack Adams the coach? 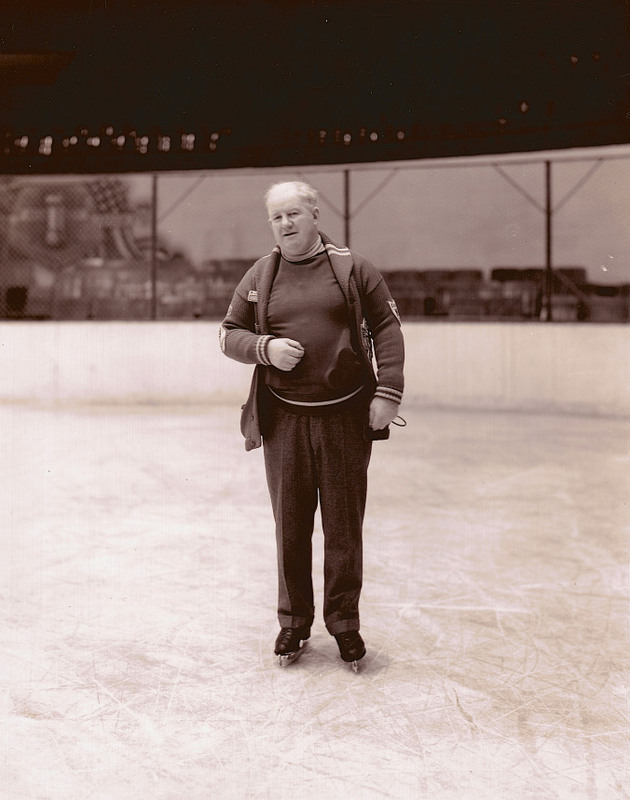 After retiring as a player during his Stanley Cup season with the Ottawa Senators in 1926-27, Jack Adams got a call from NHL President Frank Calder. Calder recalled Adams had helped the Toronto St. Pats as a player-coach in the 1923 season and suggested he might do well in coaching the Detroit Cougars, who were about to embark on their second season in the NHL. 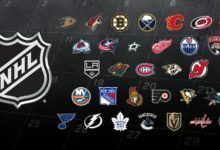 Their first season of 28 points is a record low for the Detroit Red Wings franchise to this day – almost 100 years later. As a fun fact, during this time the Cougars had to play in Windsor, as the Olympia had not finished construction. 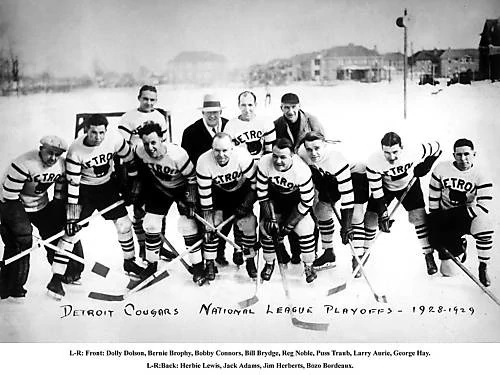 The Detroit Cougars in the first playoff season in Red Wings franchise history, and Adams second as coach. He is second from the left in the back row. Adams legend as coach was born during this time, as he would remain contactless (working on handshake agreements with Norris) for the next 15 years and lead the franchise to 13 playoff appearances. Detroit Falcons 1930-31. Adams is on the far right. After getting the Red Wings to the Stanley Cup finals in 1933-34 (and losing the the Chicago Blackhawks, their last Cup before 2010), Adams and the Wings would miss the playoffs and finish last in the league the following season. 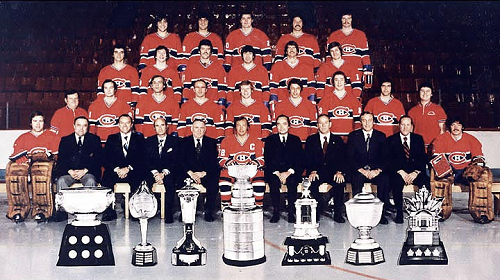 Adams vowed the Wings would reach new heights the following season and followed that up, winning his first Stanley Cup as a coach that year. 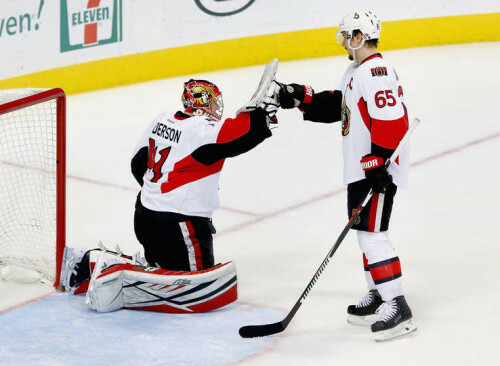 Those playoffs included a semi-final against Montreal that saw the longest game in NHL history, a six overtime snoozer that finally ended when Adams changed up his lines a bit. Adams quotes are taken from the same Hall of Fame article listed above. During the playoffs Adams had a reputation for berating officials and storming into their offices after games to question calls and give his opinions on their officiating. He would follow this up in the summers, however, by petitioning the league to pay referees more. 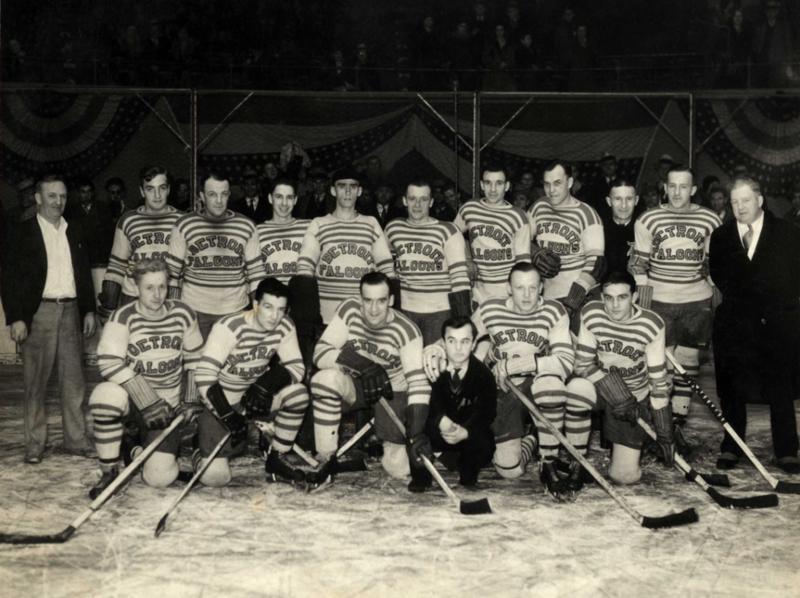 This harsh but fair style was remembered by Frank Selke, manager of the Montreal Canadiens at the time – whom Adams and the Red Wings would beat in the semi-finals again on their way to repeat as champions the following season, 1936-37. His Stanley Cup wins also put him in an elite club as one of the few people to have won a Stanley Cup as a NHL player and head coach. The exclusive list is mostly from the Original Six days of the NHL, and only includes Adams, Cy Denneny (player-coach), Frank Boucher, Cooney Weiland, Hap Day, Joe Primeau, Toe Blake, King Clancy, Tom Johnson, Al Arbour, Terry Crisp, and Jacques Lemaire. Technically you could include Lester Patrick on this list, as he suited up in net for half of a game for the New York Rangers in the Stanley Cup Playoffs agains the Montreal Maroons in 1928. Patrick was the manager-coach of the Rangers at the time and when Rangers’ keeper Lorne Chabot was hit in the eye with a puck in the second period, Patrick stepped in to fill the void in net. If you include this anomaly, Patrick would also be the only person other than Adams to have won the Cup as a player, coach, and manager, and he did it all in the same season. 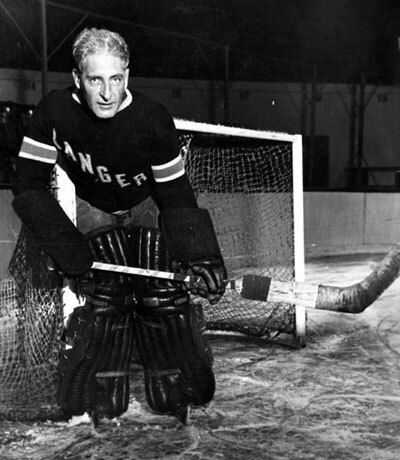 Lester Patrick in net for the New York Rangers at the age of 44. Patrick is the only person to ever play, coach, and manage on the same day in a Stanley Cup winning team in the NHL. After the back-to-back wins, the Wings would miss the playoffs for the last time during his reign as coach the following season. Adams cemented his status as one of the game’s greatest coaches after that, by going on a run of nine straight appearances in the Stanley Cup semi-finals, including three straight finals appearances from 1940-41 to 1942-43. The last year of the finals runs he and his Sid Abel-led team took down the powerhouse Maple Leafs in the semis, before dismantling the Boston Bruins in a sweep in the finals. It was his fifth Stanley Cup, and third and final as a coach. Adams would lead the Wings behind the bench for four more seasons, all of which included Stanley Cup semis losses, before retiring in 1947 to focus on his managerial career. He finished his coaching resume with 413 wins, holding the record for all-time wins by a Red Wings coach until Mike Babcock passed him nearly 70 years later in 2014. Stay tuned for the final of the Jack Adams saga, and learn about the time the Red Wings played an outdoor game in a prison, against its inmates.